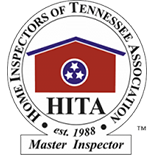 As an IAC2 certified company, Safety 1st Home Inspection in Knoxville performs mold testing and inspections. Our sampling and testing methods conform to all IAC2 mold sampling and collection procedures. We accurately locate moisture intrusion that may lead to mold issues. Sampling and testing areas of apparent mold growth lets our client know exactly what types of mold are present and what the potential dangers may be. If you are buying or selling a home and have a family member with mold sensitivities, then you may want us to take air samples to determine if potentially dangerous mold spores are present. If you have found evidence of mold growth, you may want us to take swab samples to properly identify the type of mold as well as the severity of the problem. Safety 1st Home Inspection is completely independent. We do not perform any type of mold remediation, so you don’t have to worry about us trying to sell you a solution to a problem. Our clients have the peace of mind that comes with working with an inspector without a relationship with any company that performs mold remediation. There is no conflict of interest when you choose Safety 1st Home Inspection. All of our samples are analyzed by Assured Bio Lab in Oak Ridge, Tennessee. Assured Bio Lab is the only CDC ELITE Laboratory (#5001635) in East Tennessee as well as the only AIHA Accredited Environmental Microbiology Laboratory (#183867) in the area. Contact us today for a mold or home inspection!